Bhramari Pranayama is made from the hindi word “Bhramar” (मधुमक्खी in Indian language) which means bumble Bee and the meaning of Pranayama is breathing technique so it can also called ‘bee breath’. Bhraamri (Bee Breath) could be a terribly effective Pranayama (breathing exercise) for meditation. Activity of this respiratory exercise helps to induce a chilled impact on the mind rapidly. Bhramari Pranayama edges in reducing high vital sign, fatigue, and mental stress. Conjointly active this Pranayama for ear, nose, mouth, and eye issues will have a positive impact. This Pranayam is one of the great breathing exercises to release the mind of disquiet, anxiety or frustration and get rid of anger. It is a simple to do breathing technique and can be practiced anywhere at work or home, it is a instant option for de- stress yourself. In Bhramari Pranayama the exhalation sound is very resembles to the humming sound of a bee, by this it is named as Bhramari pranayama. In this respiration process, your lips are purported to be shut, and you’re purported to gently and swimmingly build a sound sort of a buzzing bee in your throat. The practice of Bhramari Pranayama is very helpful for making the breath smooth and quieting the mind too. You easily can feel the sound vibrations in your jaws, throat and face. This is simple and can be done by any age group of people. Repeat this process for 5 times. Important thing is that while doing this Pranayama assume that your are being connected to all the positive energies of the universe. This is the best method to achieve concentration of mind. Beneficial in relieving from hypertension. Helps in High blood pressure and heart problems. With the help of this, mind becomes steady, lower mental tension, agitation etc. Helpful in curing Paralysis and migraines. All ages people can try this breathing exercise including pregnant women. In the time period of pregnancy, it helps to maintain and regulate the functioning of the Endocrine system and provide easy child birth. It is very good for Alzheimer’s disease. 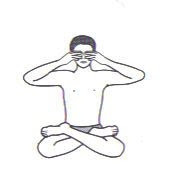 Do all the pranayama in morning with empty stomach. If you are doing Pranayama in evening then keep a several gap between Pranayama and your meal. Do all the Yoga postures and breathing exercises under the yoga expert. Do not put your finger inside the ear but, you have to only gently press the ear cartilage. OM!Thanks, Sir, for your humble and appreciating words. This will motivate us to do more hard work. Keep connected with us. @sunil, Thanks for your comment. Keep visiting our Website. Is it necessary to do brahamri after anulom vilom? It’s good, if you perform Pranayama in the sequence. 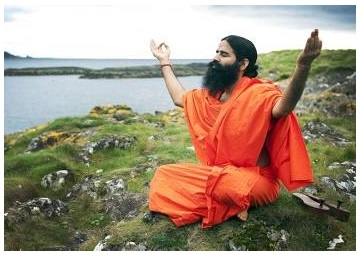 If you haven’t ample time to perform then perform the pranayama on the basis of your time. @VidyaSagar, Thanks sir for your valuable comment. Anulom Vilom is Shuddhi pranayam, meant for cleaning of body mind and spirit. Shastras say to practice it before doing any Yog practice. @Dr Parikh, Thanks for your valuable comment. Thanks for giving such nice knowledgable information. I am doing 10 reps of bhramari in each session. Last week I got mild migraine (throbbing headache) after the session, could it be because of this pranayama. First of all sorry for the late reply & thanks for your valuable comment. Do the breathing exercise systematically, if you feel mild headache in between your session then avoid for some time. 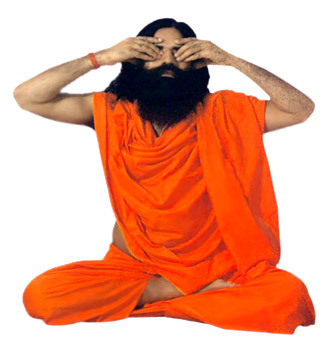 Instead of 10 reps do Bhramari Pranayama about five minutes. Day by day increase the time. I don’t think so that you got mild from Bramari, Bharamari pranayama is very good for your CNS and kicks out a general mental related problem.